I love trying less processed, real-food versions of traditional recipes, but the rule in my kitchen is…they MUST also be yummy. If not, why bother? These pancakes are delicious and are a welcome change to old fashioned pancakes, which taste so good, but leave some of us feeling lethargic after eating them, like we had just eaten…well…a bunch of flour! With these pancakes, I can eat a good pile of them and feel energized afterwards. This recipe is adapted from a recipe that my good ol’ dad gave me. I have changed it to my own liking, using ingredients I am comfortable with. It has been tested many times, and my kids love it. Scroll down past the photos to get straight to the recipe. Soaking the oats helps our bodies to digest them better. A blender works great grind up the oats. The pancakes are ready to flip over when you see lots of little bubbles on the surface. Combine oats, water and lemon juice in bowl. Cover bowl with plate and let sit 12-24 hours to soak. 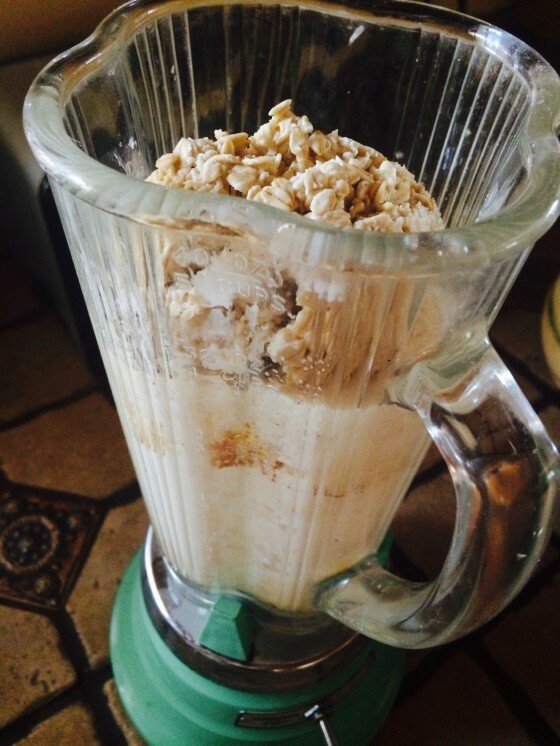 Put all ingredients except soaked oats in blender and mix well. 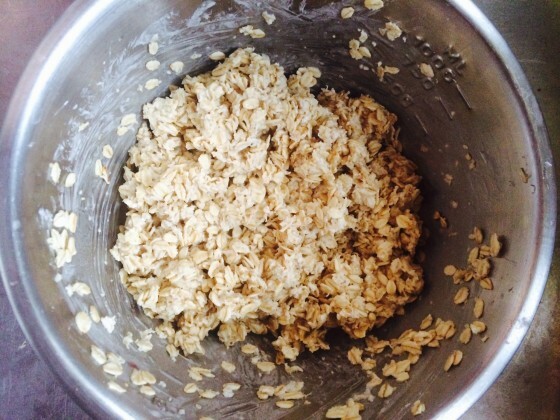 Add soaked oats to blender, blending until you have a batter consistency. Heat a large skillet to medium temp. Melt plenty of butter in the pan, these pancakes stick more than traditional pancakes. 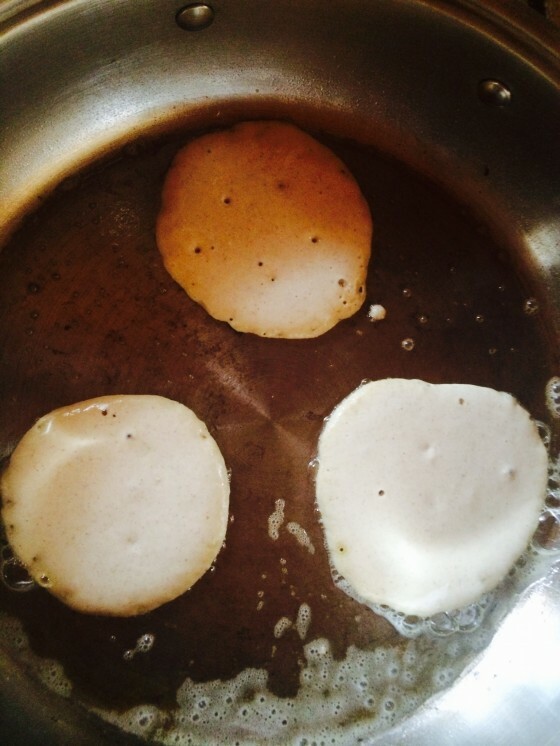 Pour the batter and cook pancakes until the surface is very bubbly, then flip and cook the other side. 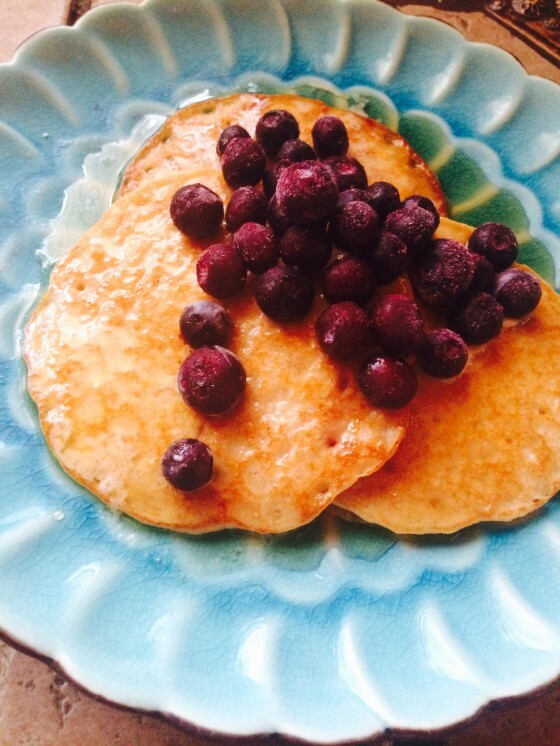 Serve with butter, maple syrup and berries if you wish! Looks so yummy! I wonder if there is such a thing as goat cottage cheese out there? Guess I’ll have to figure out how to make my own.